In this module you will learn how to use the Overview by CloudScope. The Overview by CloudScope show a list of values in the format of a list of Instagram profiles. 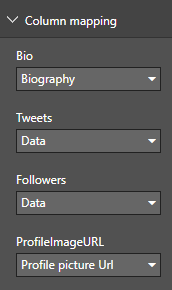 Shows a list of values in the format of an Instagram profile list. If you click on an element it will act as a filter for other visuals in your report. 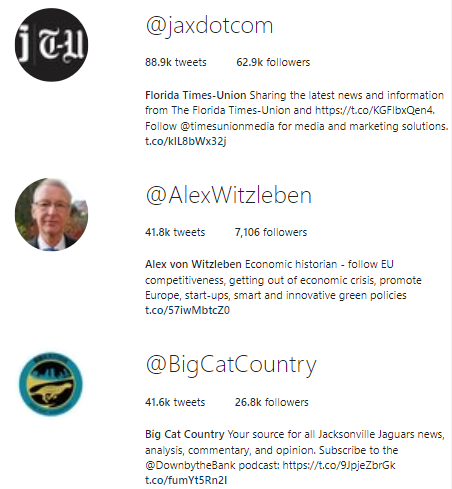 This Overview by CloudScope visual is displaying twitter profile information in the format of an Instagram list. Within the Column mapping section the fields from your dataset will need to be mapped to the properties within the visual. 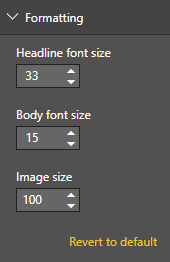 Changing the Formatting section allows you to adjust the size of each part of within the visual.